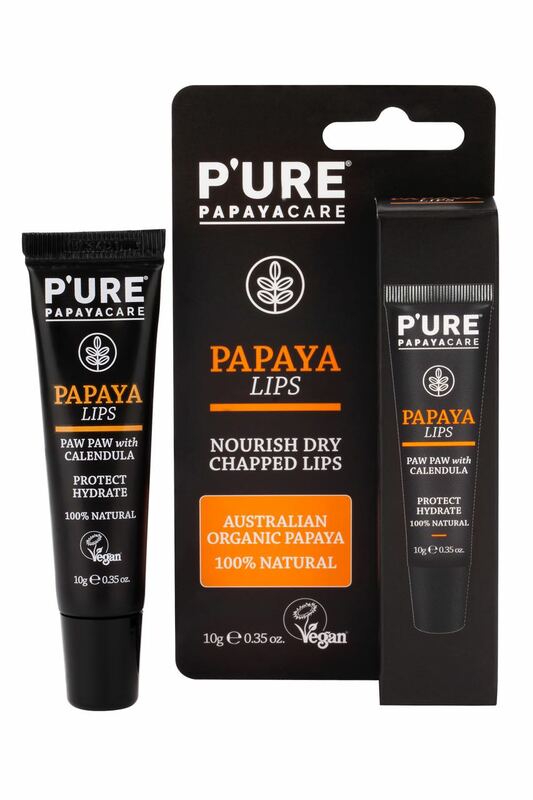 Australian fermented Papaya: Nutrient rich, with high levels of vitamin C and unique enzymes to gently exfoliate and repair dry lips. How to use PURE Papaya Lips – Apply to hydrate dry, chapped and cracked lips. Ideal for sun, cold and wind damaged lips. Keep out of direct sunlight as product becomes softer at higher temperatures. STORE BELOW 30 degrees Celsius.